You may need a wisdom teeth extraction at some point. It is rare for a person to have enough room for all of their wisdom teeth, and as a result, they tend to grow in impacted. This can be uncomfortable, push your other teeth forward, and create a space for food to become trapped, increasing your risk of infection and decay. This is why we often recommend that our Sterling, VA patients have their wisdom teeth removed. 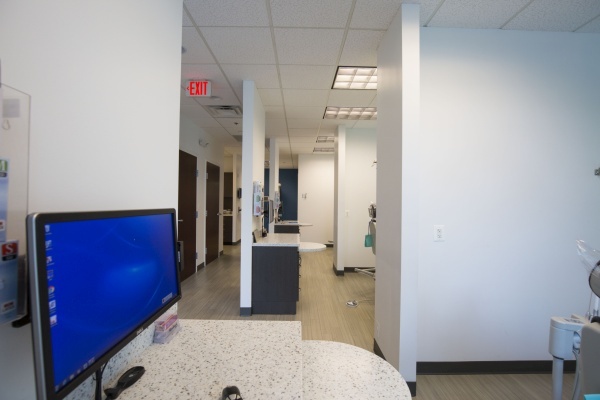 When you schedule an appointment with Titan Dental Care, we can examine you, take x-rays, and let you know if and when you should schedule an extraction procedure. You can reach us by calling (703) 745-3227. If your wisdom teeth have grown in straight, removing them is fairly easy. In this case, you would visit a 20166 dentist to have them pulled out using dental tools. Most likely, no surgery would be required. However, if your teeth are impacted, the procedure requires oral surgery. In order to access the actual tooth, the gum tissue covering it will need to be cut open. After numbing the area, a flap will be created in the gum tissue. This allows the dentist or oral surgeon to view the tooth. If muscle or bone is covering it, that will also need to be cut away to provide clear access to the actual tooth. At this point, your Sterling dentist may be able to grab the tooth and simply lift it out of the socket. If, however, it does not budge when being wiggled; the actual tooth will need to be broken into several pieces that can be extracted individually. Check out what others are saying about our wisdom teeth extraction services on Yelp: Wisdom Teeth Extraction Sterling. 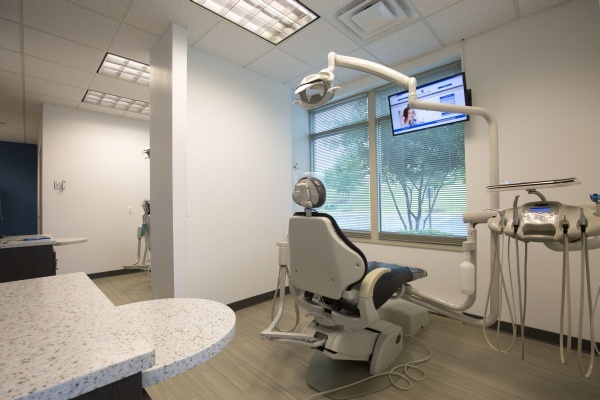 At Titan Dental Care, we tell patients who are planning for an extraction to prepare ahead of time. You will need to rest when you get home, so have your bed ready with plenty of pillows to prop up your head. Fill your nightstand with water bottles, additional gauze, ibuprofen, and some good books or movies. Plan on taking it easy for the next 48 hours. During that time, you may want to eat a lot of popsicles, ice cream, yogurt, warm soup, Jell-O, and other foods that are soft and do not require chewing. You will be too sore to try and eat anything else. Gradually, you will be able to add in solid foods and begin to eat like normal. The key is to take it easy and not rush the process. Slowly add soft foods that are easy to chew and work your way up to dining at your favorite Sterling restaurant. It may take up to two weeks to be 100 percent back to normal, so during this time, be sure to avoid any nuts, chips, or foods that could crunch and scratch your gum tissue. You will need to schedule a follow-up visit with the 20166 dentist who performed the procedure to ensure that you are healing properly. During this visit, you will get the sign off to return to normal eating habits. As a 20166 dentist, we are always concerned about infections post-surgery. Whether you have a wisdom teeth extraction or need to have another tooth removed, there is always the risk that the area will become exposed to bacteria. To prevent this, you should rinse your mouth periodically with warm saltwater. Brushing your teeth is also important, even though you need to carefully avoid the surgical site. In some cases, an antibiotic mouth rinse may also be prescribed. At Titan Dental Care, we understand that each of our patients is unique and so are their teeth. Whether or not you need to have your wisdom teeth removed by a 20166 dentist, we really depend on the size of your palate. If you have plenty of room for all of your teeth and your third molars, they can stay in place. There is no point in removing something that grows in straight and is healthy. However, any tooth that grows in impacted needs to be removed because it is posing a direct threat to your other teeth and roots in addition to being a target for infections. The best way to find out if your wisdom teeth should be removed is to call 703-745-3227 and schedule an appointment with our Sterling dentist office. We can make a recommendation and answer any other questions you have about the procedure itself.